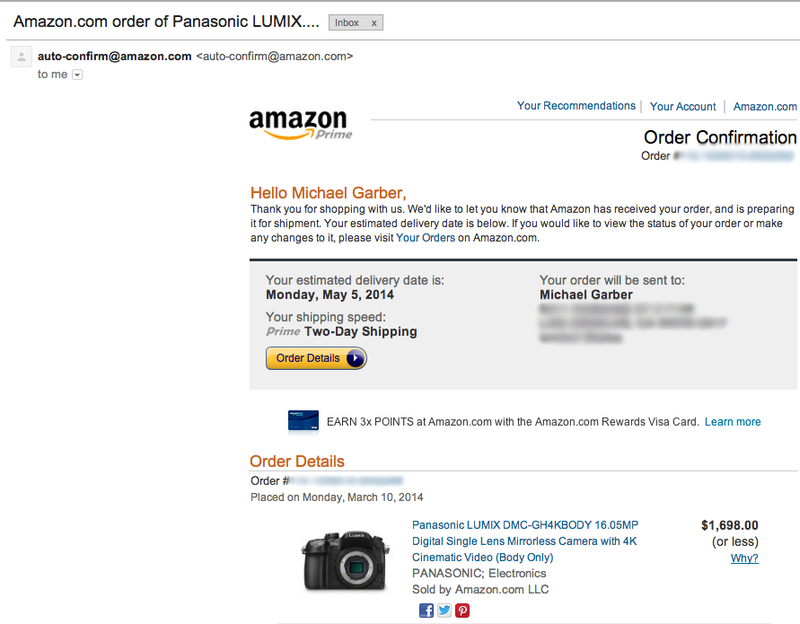 As I mentioned in my last post, I’ve officailly pre-ordered the GH4. I was a little worried at first because it wasn’t available on Amazon last night. But at about 9AM PST, it came online. Now for the long wait! Hopefully, it’ll actually arrive close to the promised date. The date happens to be very close to my birthday, so I’ll consider this my gift to myself this year!